I thought I would blog about two postcard-related books I have on my bookshelf. I picked up this book at a second-hand bookstore in Whitstable, Kent. 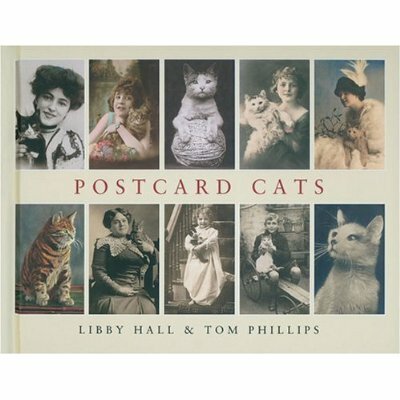 This book is full of postcards of cats. 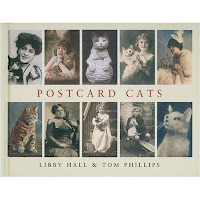 I like this book a lot because it really documents two types of postcards very well: the mass produced photographic cards with accompanying ditties, and cards of real people with their cats produced using postcard cameras. I have a bit of a bias for the latter type of postcard so this book is very satisfying. I was given this book at Christmas. 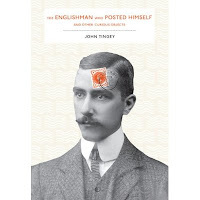 It is a book that describes Mr Reginald Bray's real obsession with Royal Mail postal rules. I particularly like the postcards he sent with pictures of the intended recipients instead of their addresses - genius! I will look out for Mr. Bray's handiwork at the postcard fairs, but I think it is most likely his postcards are hidden safely away in deltiologists' collections.